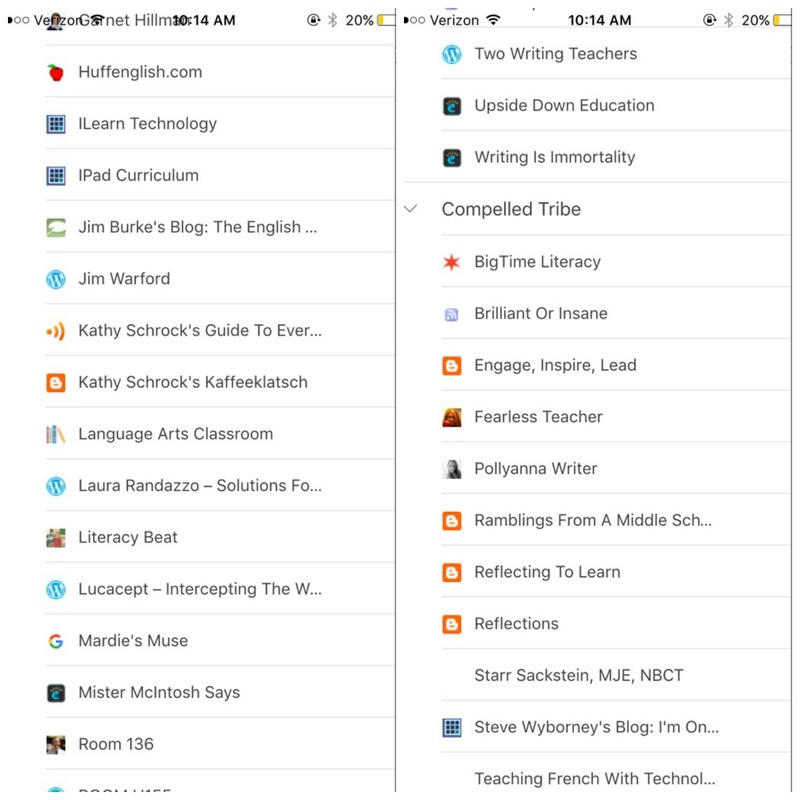 Hi, I’m Kristy, and I’m addicted to Professional Development. Okay, addicted might be a strong word, but I love me some PD! Not the mandated kind, of course, because who does? I love the kind I choose for myself. And I must say, I choose pretty much on the daily. I think professional growth is the most important thing I can do to do what’s best for my students. I see stagnant teachers all around me. Now, don’t get me wrong: I’m not saying they’re not good teachers, I’m just surprised that they can be good teachers when they are not always learning and growing. The cool thing about professional growth is that it doesn’t have to look the same for everyone. For me, professional growth comes from books, Twitter, blogs, and conferences or EdCamps. I read blogs daily on my Feedly app. 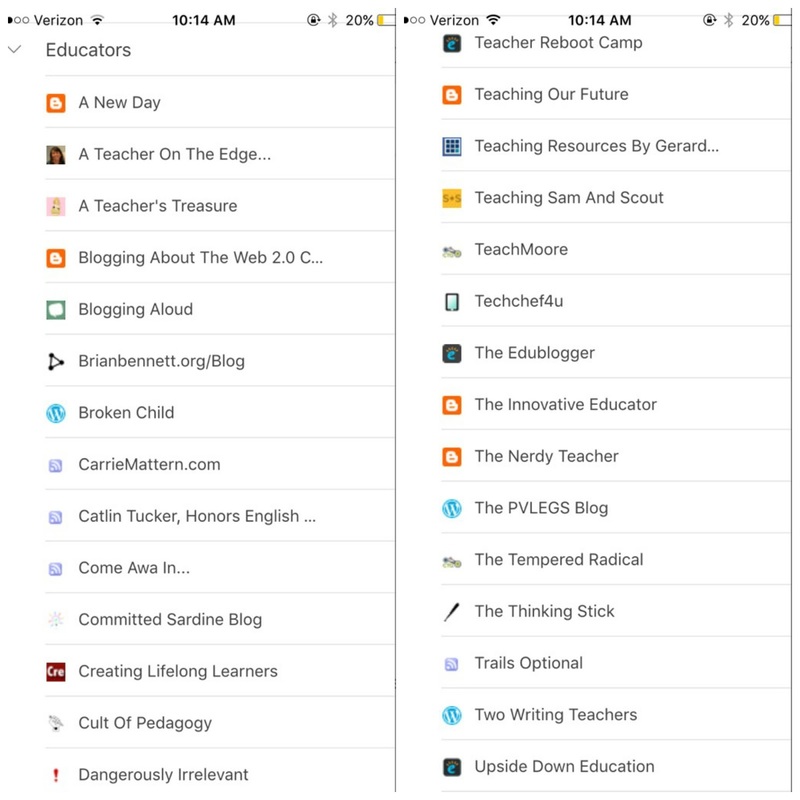 I have over 70 education blogs on my list. Sounds like WAY too many, right? But they don’t all post every day, so it’s really not. I might have 15-20 new articles a day, and I don’t necessarily read them right that minute. Instead, I save them to my Pocket App with an appropriate tag, and go back to them when I have time, or I’m looking for something specific. 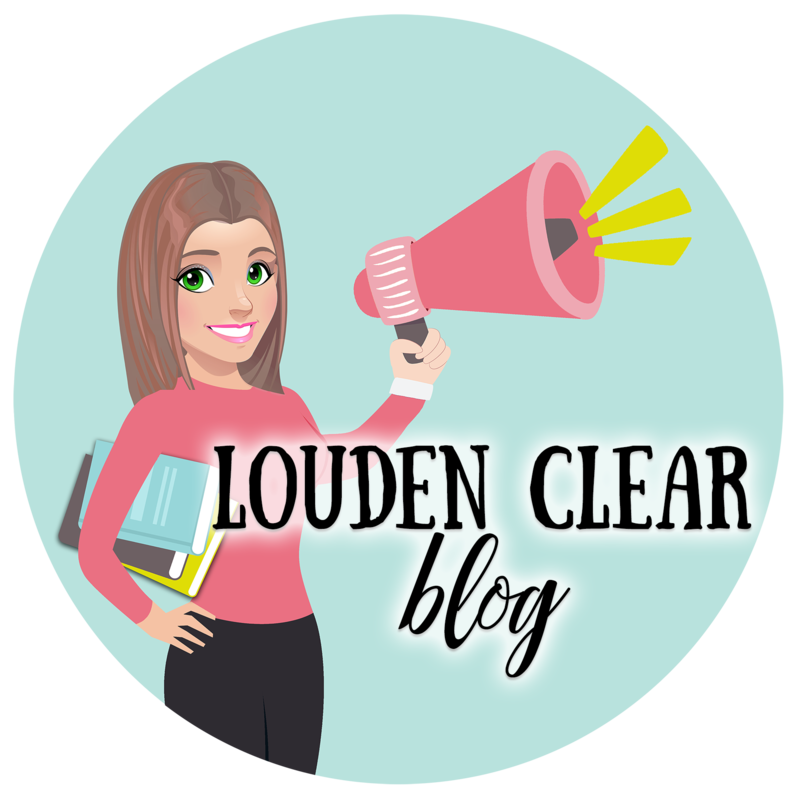 Some of my favorite bloggers (this is hard to narrow down! ): David Stuart Jr., Catlin Tucker, Cult of Pedagogy, Erica Lee Beaton, Twowritingteachers and Laura Randazzo. I learn SO much from these bloggers on a daily basis. I like Twitter okay, but I’m not a big user. I like to swipe through it for a minute or two, but it’s SO overwhelming. Mostly I follow the accounts of the bloggers I read, plus some others, so I get a lot of repeat information. Sometimes I lurk on a chat, but the short format is not my favorite. However, despite not being my favorite, I have gained a lot of knowledge and grown from my time on Twitter. My all-time favorite type of growth, though, is attending Edcamps and conferences. There is something envigorating about attending these events. I think it has to do with being surrounded by others who want to be there (which is the main difference between mandated PD and chosen PD). Everyone is excited, everyone is sharing, and everyone is ready to get back in the classroom and put their newly learned strategies or ideas into practice. If you haven’t attended an Edcamp then… you must live under a rock. I kid, I kid. But really, it’s 2016, and you need to make that happen. They’re free for crying out loud, and you will not meet a more enthusiastic group of educators anywhere else. I would bet money on that! So, as you can tell, I get pretty hyped about PD and growth. Enjoying it makes it easy to make part of my daily life. I love to learn new things and share with my colleagues and try out ideas with my students. That’s what teaching is all about in my opinion: learning, growing, sharing, and learning some more. What is professional growth to you? So – keep up the awesome learning and let me know what you think. Heck, if you want to come to Boston in July I might have you co-present! Again, thanks for making me better.